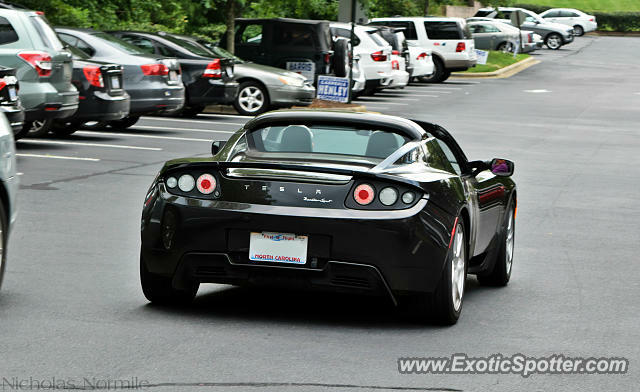 Saw this Roadster Sport leaving the South County Library on Rea Rd a couple weeks ago. Thanks Dustin! And awesome! I hope you managed to get some pics of it! Charlotte has been LIT lately so hopefully you'll catch a few pics of some of the stuff you see! Nice shot! I haven't seen a Roadster since the first one I saw like two years ago. I see a different black one in Charlotte from time to time, but other than that, they are pretty few and far between here as well. I saw an orange one a few weeks back but that's the only one I've seen in the past year or so. Thanks! Oddly enough I've seen three in the past month or so. Awesome find Nick! I love these, it's too bad you almost never see them.